Here at Mad Hatter, we think it's time that certain classic hat styles had a renaissance. For this reason, we're tremendously excited to announce the launch of our new line of heritage hats, coming this March! These are hats that will stand the test of time – heirloom quality, and handmade right here in Canada. Based on classic designs, but with a modern touch, these hats will look stylish for years to come. Think top-quality wools, customizable linings and trims, water resistant and stain repellent. 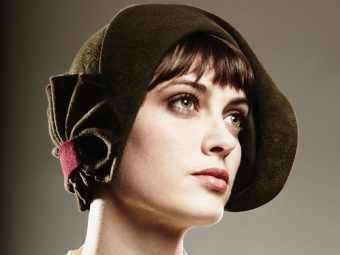 Here at Mad Hatter, we aim to design versatile hats that are both stylish and fashion-forward. This line of hats is an embodiment of this objective. Our Heritage Hat Collection will be available March 1st – Come on in and check it out!